Coupled with the fact that you no longer need an actual FB account to use Facebook Messenger, the addition of this feature could be just what Zuckerberg was looking for to give his company’s universal communication app the bump it needs to push it to the top of the list. Of course, this all assumes that my interpretation of the details revealed by TechCrunch’s developer contact is correct. I could be completely off the mark here. But, if I am, what else could those Facebook Rooms be used for? Will Facebook Messenger Rooms Help FB Stock? In the short-term, I don’t see how the introduction of Facebook Rooms will have any impact on FB stock. Regardless of what the rooms actually do, they’re not likely to monetize Messenger, at least not to a degree that would move the Facebook stock needle. In the long run, however, if these rooms are at least close in concept to what I’m imagining, Facebook Messenger could end up being a major revenue generator that could give FB stock a nice boost. Currently, the chat app hasn’t been monetized, but there’s no guarantee it will stay that way. If the Facebook Rooms feature is actually implemented and it draws in a mass of new users, don’t be surprised if Zuckerberg gives the green light for advertisements. Honestly, I’m surprised it hasn’t happened, yet. 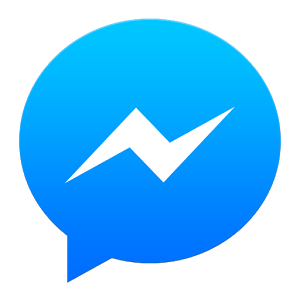 With close to 1 billion users, Facebook Messenger could very well be the largest untapped mobile device market anywhere. It would become an even more attractive — nay, irresistible — advertising market if the Facebook Rooms pulls even a fraction of users away from competing chat apps such as WeChat, Line and Hangouts. Advertisers would be falling all over themselves for the first crack at putting ads on Messenger, and Zuckerberg could charge a small fortune for the privilege. And that my friends, could give a massive boost to FB stock.